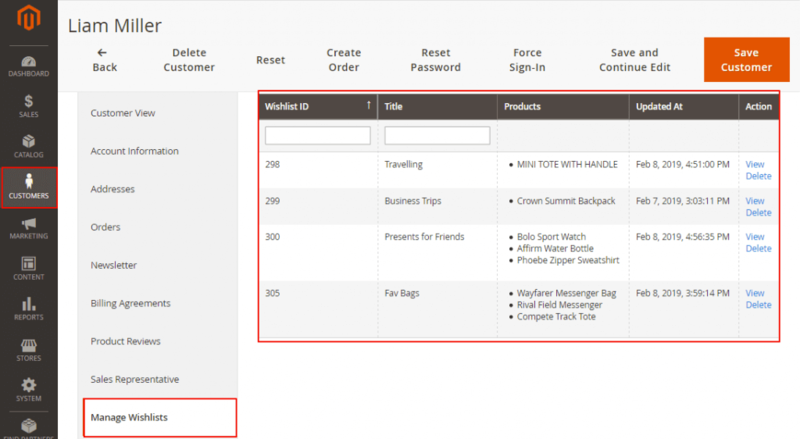 Customers can also manage their favorite items lists from the customer account dashboard in the their Wishlist area. Admin view of a specific customer's wishlists in which they can manage it. 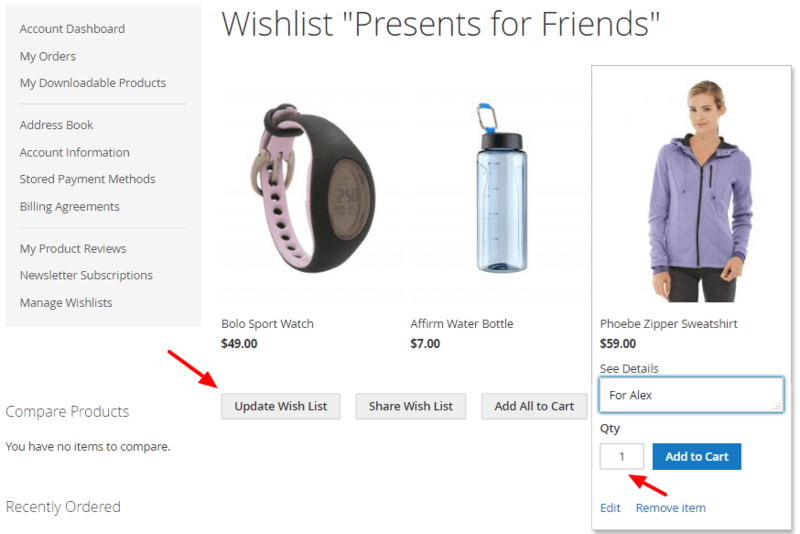 Advanced Wishlist Name – Customers can give a name to their wishlists, edit and rename Wishlists anytime. Yes, customers can delete any wishlists associated with their profile. 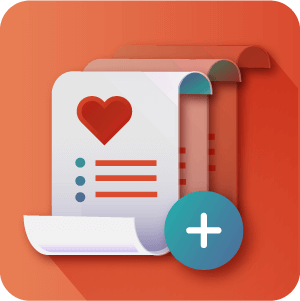 Customers can add unlimited Wishlists. 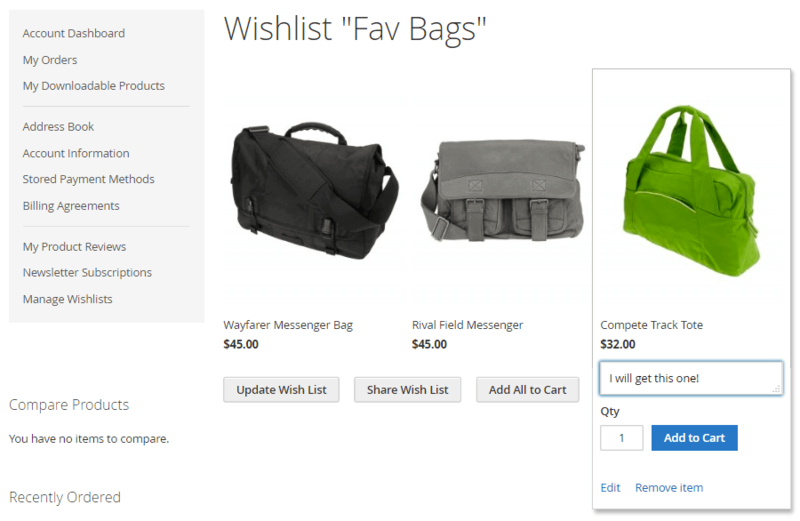 How many products can customers add to wishlists? 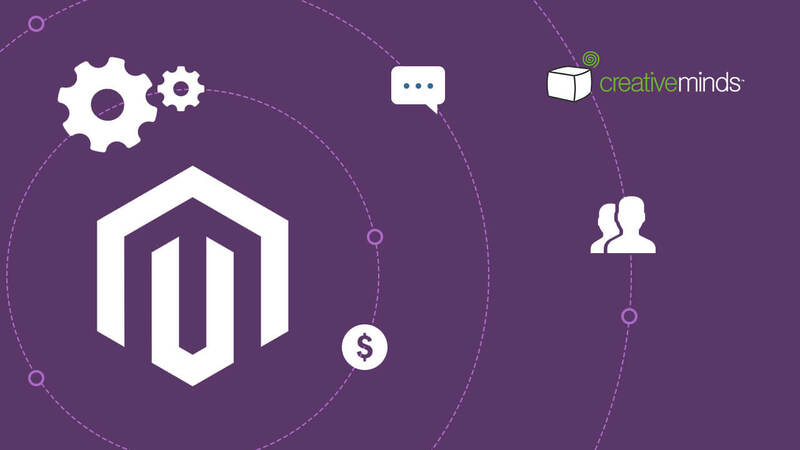 Customers can add as many products to wishlist as needed, there is no limit. 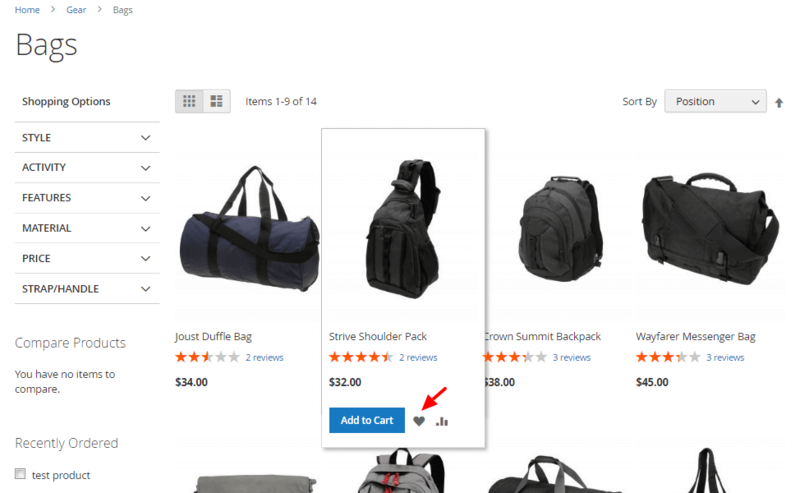 Can the customer add the lists to shopping cart? Yes. 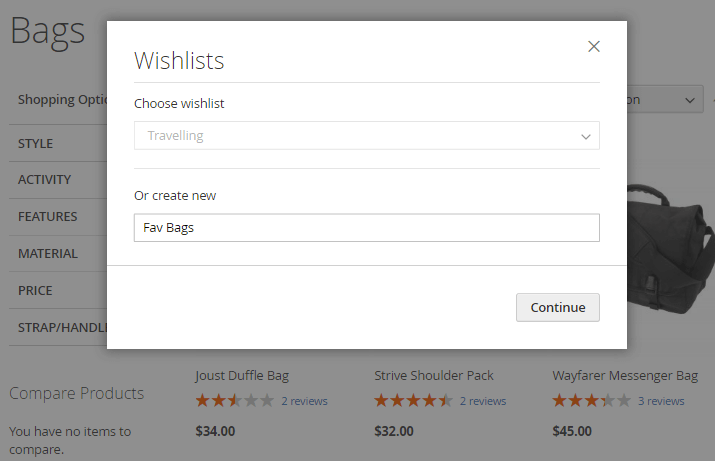 Customers can handle wishlist and add all of or some of the items from a wishlist to the cart in one go, or move products from the cart to wishlist. This makes purchasing bundles of products extremely convenient for them. Users can also delete the complete wishlist. 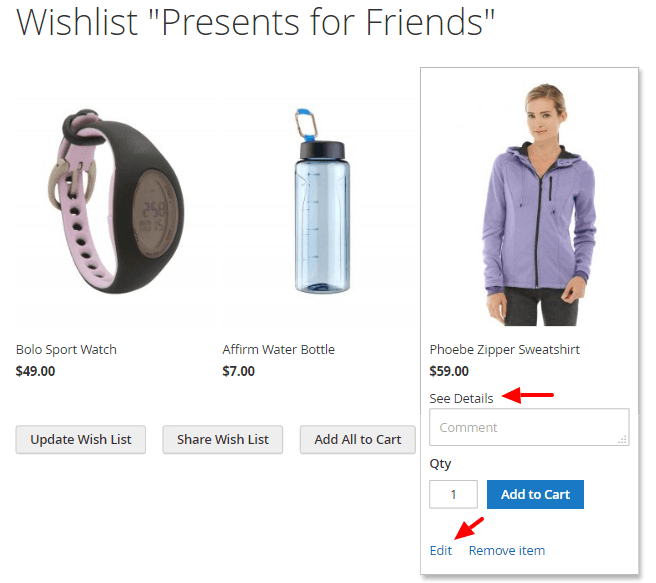 Can customers share wishlists with friends, family, work colleagues etc.? Yes, they can. 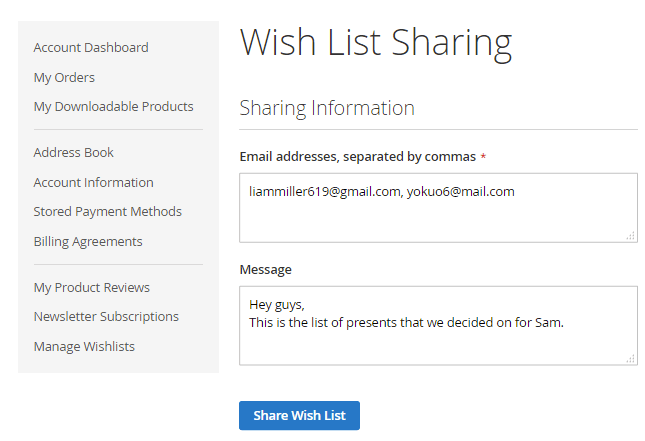 We have included a Share feature for sending wishlists from the front-end of the extension.